The colder months can bring many of the tasks you typically do outside to a standstill. In some ways this is a huge plus. Instead of spending every weekend mowing the yard you can redirect that time to other things. 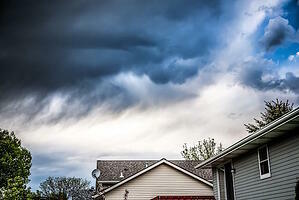 But, when you know that there are projects that need to be done on the exterior of your home it can be frustrating to have to wait because of the weather. Do you really need to postpone all exterior projects on your house during the colder months? The answer depends on the weather in your area and the type of projects you want to complete. There are some parts of the country where the weather is extreme all winter long. If you live in Bozeman Montana and there is always a blanket of snow outside your house during the colder months then the only exterior project you will be doing is shoveling snow. But, if you live in a more temperate climate like Northern California then you have a few more options. Painting the exterior of your home is a project that is best suited for warm and dry days. Spring and summer are ideal for exterior painting in many parts of the country. But, if you really want to paint during the colder months there are a couple of parameters you have to stay within to get a good finished product. The paint you use will have a minimum temperature listed on the information printed on the container. Usually the minimum temperature that is considered safe is between 40 and 50 degrees. Abide by this recommendation in order to ensure that you end up with a paint job you are happy with. Pressure washing is an exterior project that can make a big difference in the look of your house, deck, sidewalks, and driveway. You can have your home pressure washed during the colder months as long as temperatures are not approaching freezing. Look at the historical temperature data for the month you want to do this project to get an idea about whether or not it is possible. You can also talk to a local painting contractor that provides pressure washing services. They will be able to let you know, based on their knowledge of the area, if the timeframe you are thinking about will work. The process of repairing damaged siding on your home can take a while. In order to properly prepare the surface for new paint you need to replace rotted wood and remove damaged paint. If you want to paint in the spring then you may plan on doing some of the siding repair work during the colder months. The thing you want to avoid is leaving the raw wood exposed to the elements for an extended period of time. If the weather is going to slow down the process too much then it is better to wait for warmer conditions. Another option is to leave the repair work to the painting professionals you plan to bring on for that part of the project. In many parts of the country, there are some exterior projects that can be completed during the colder months. You can determine which ones work in your area by considering the weather conditions and the type of project you want to complete. If you need help making a decision, take some time to talk to a local painting professional. They will have enough experience with weather conditions in the area to guide you in making the best decision.